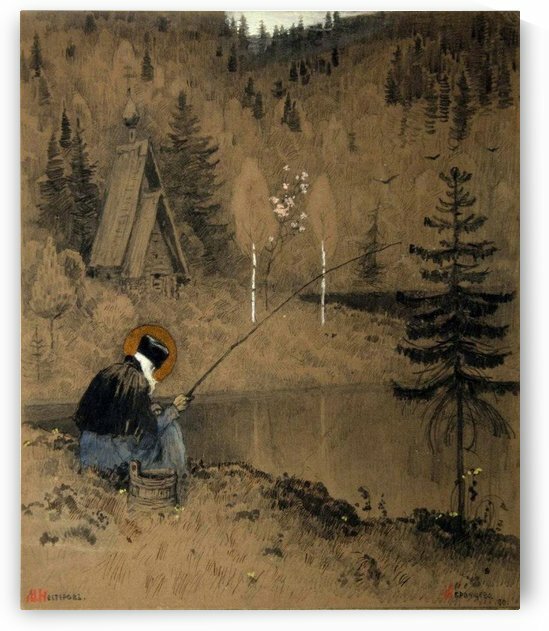 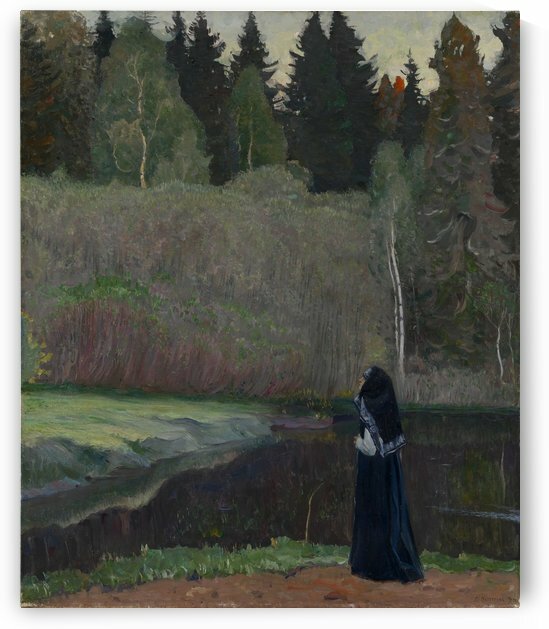 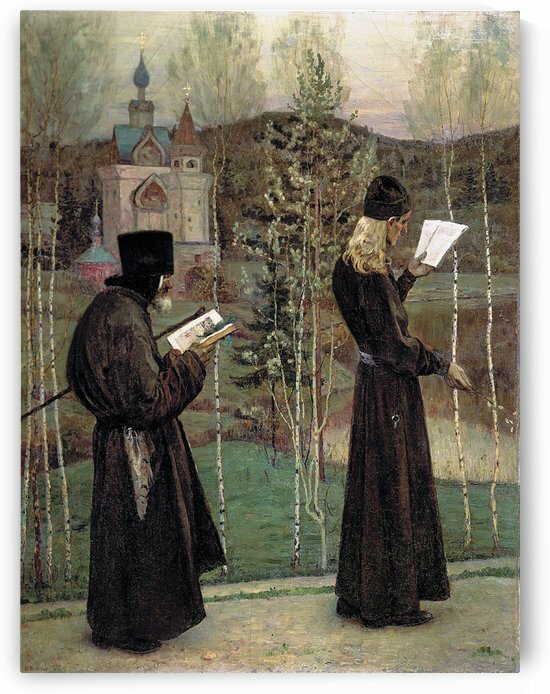 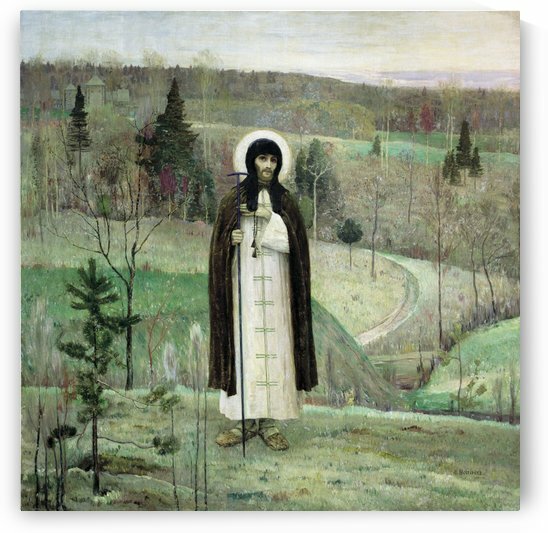 Mikhail Vasilyevich Nesterov (Russian: ; 31 May [O.S. 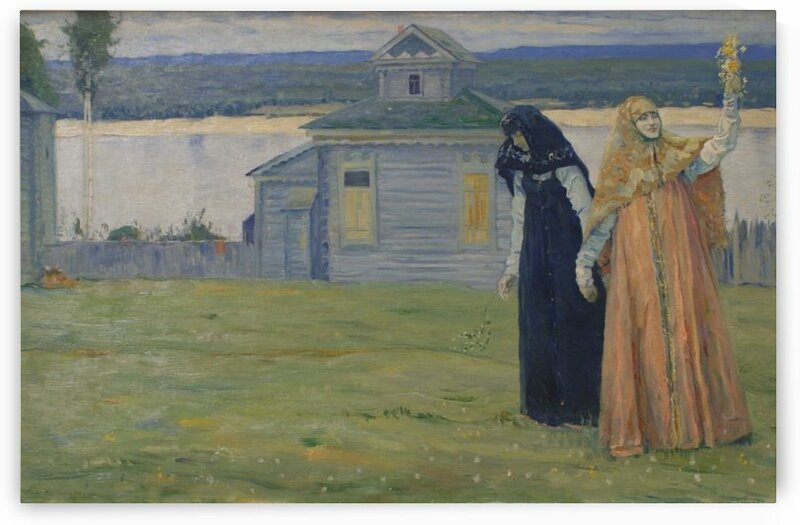 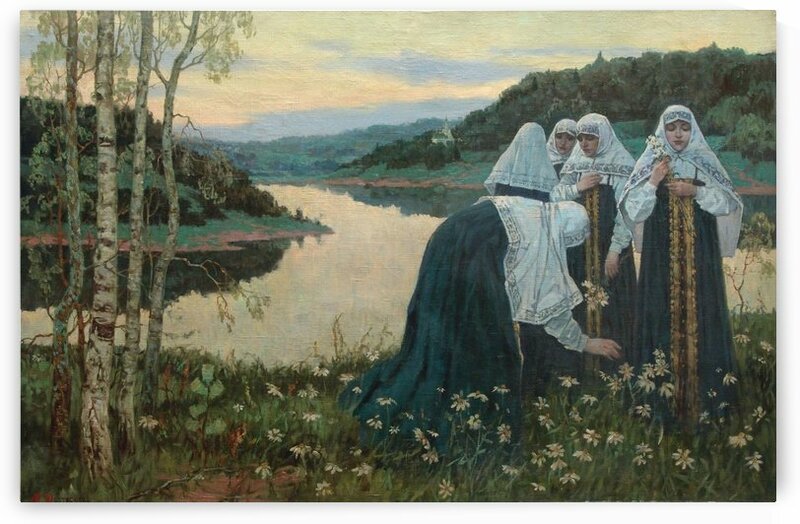 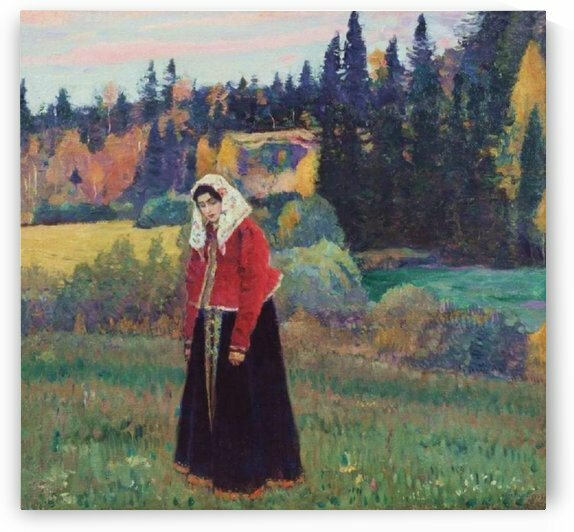 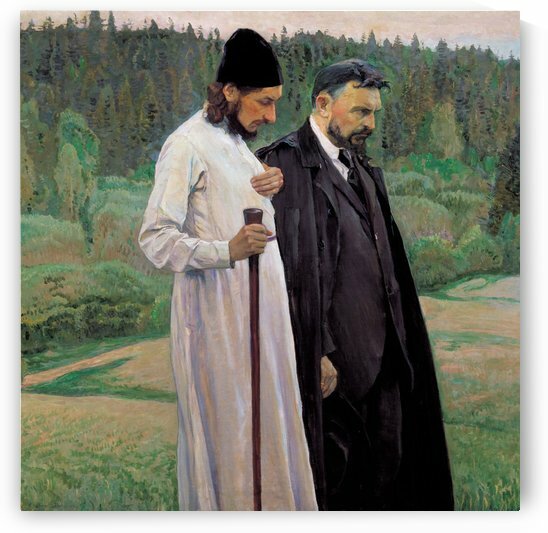 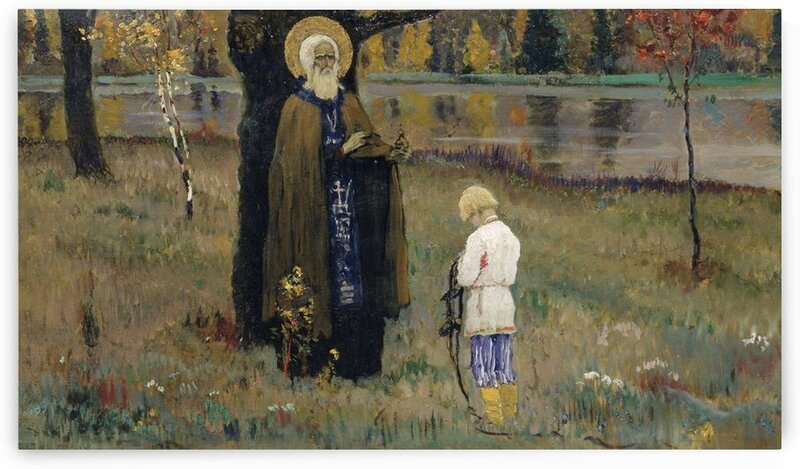 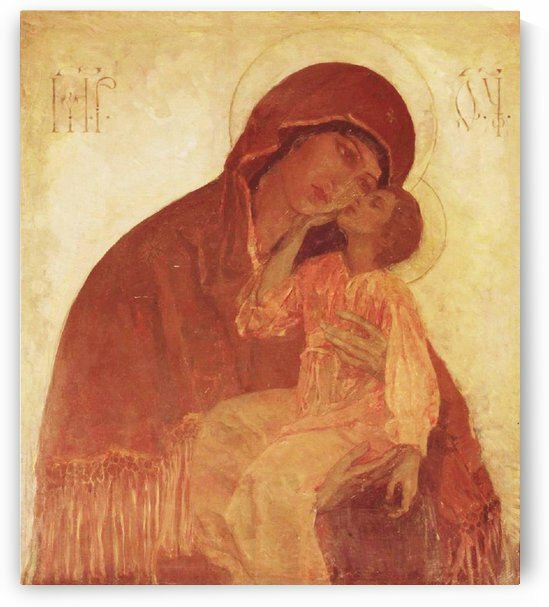 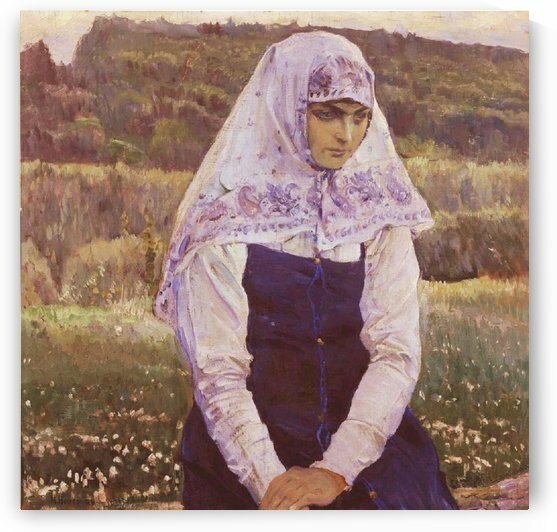 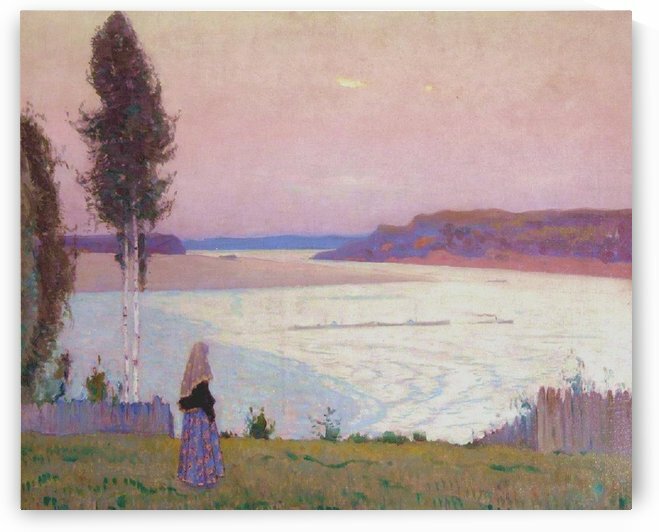 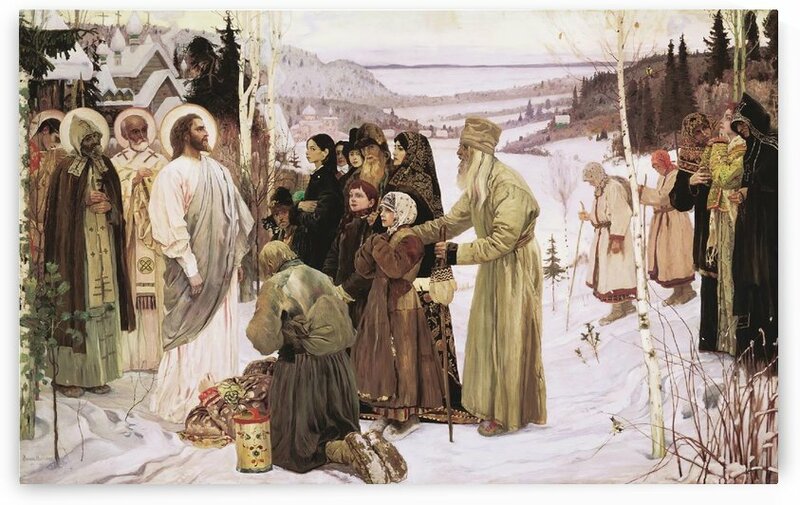 19 May] 1862, Ufa – 18 October 1942, Moscow) was a Russian and Soviet painter; associated with the Peredvizhniki and Mir Iskusstva. 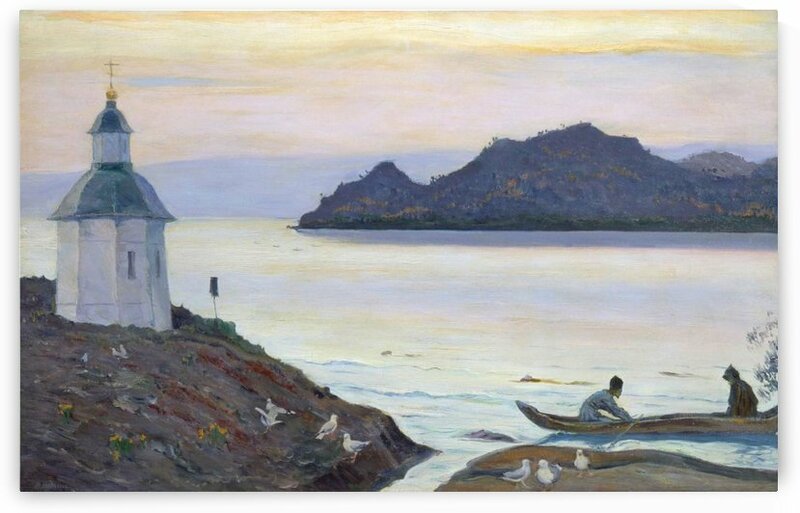 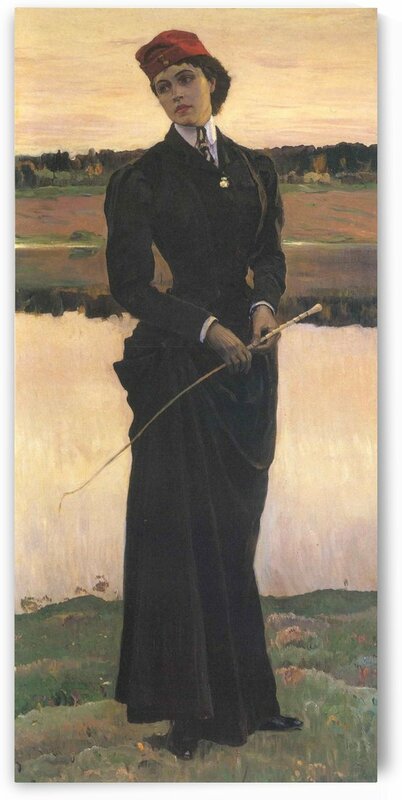 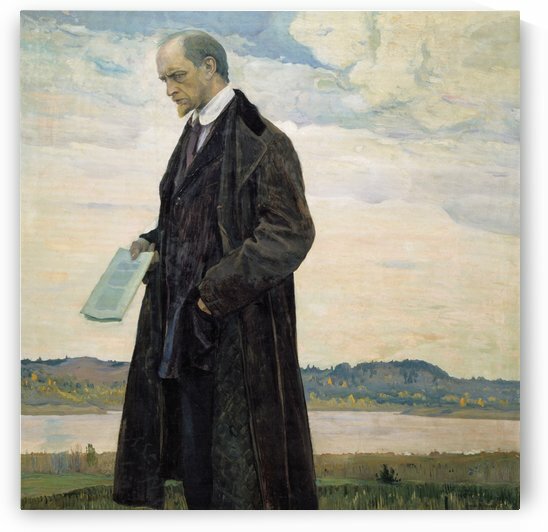 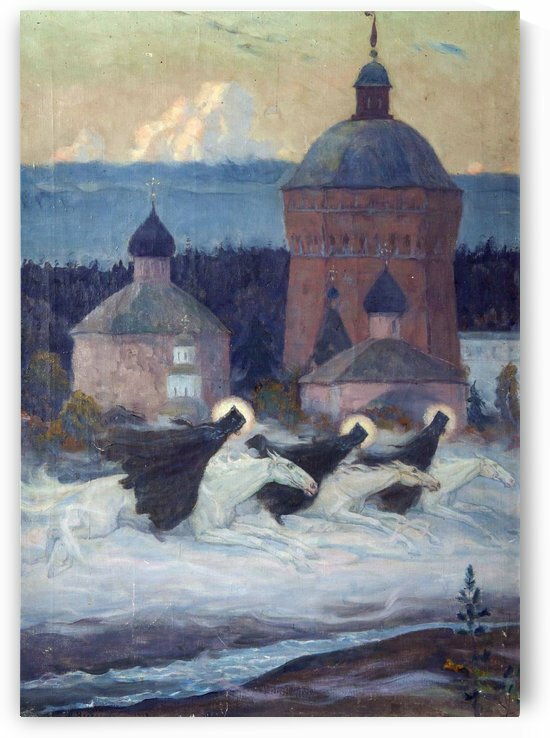 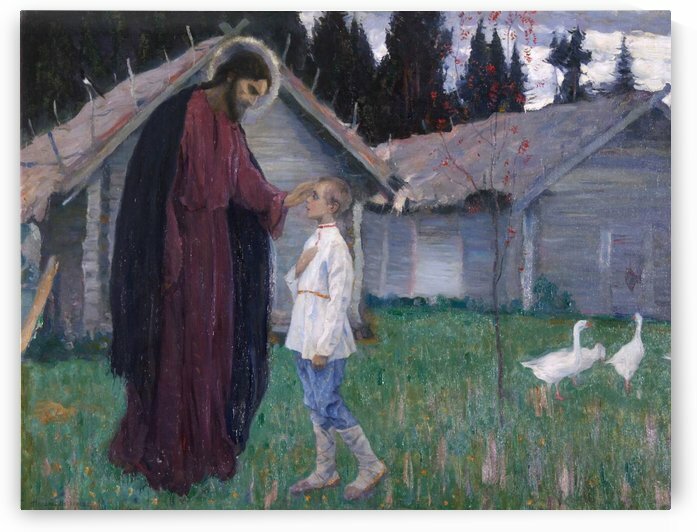 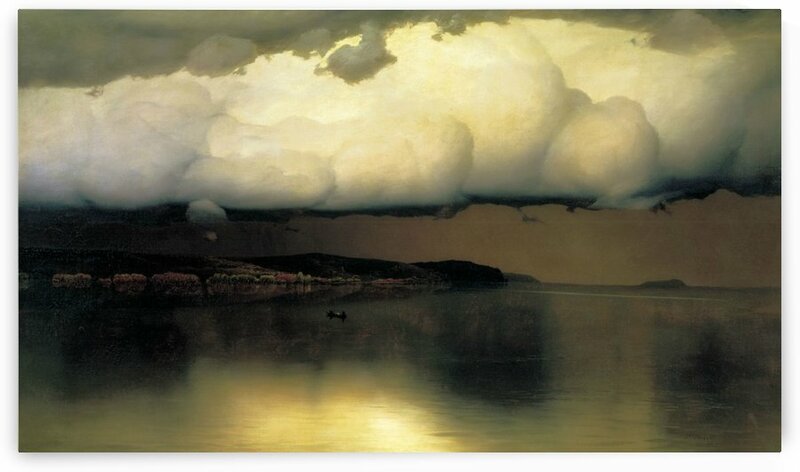 He was one of the first exponents of Symbolist art in Russia. 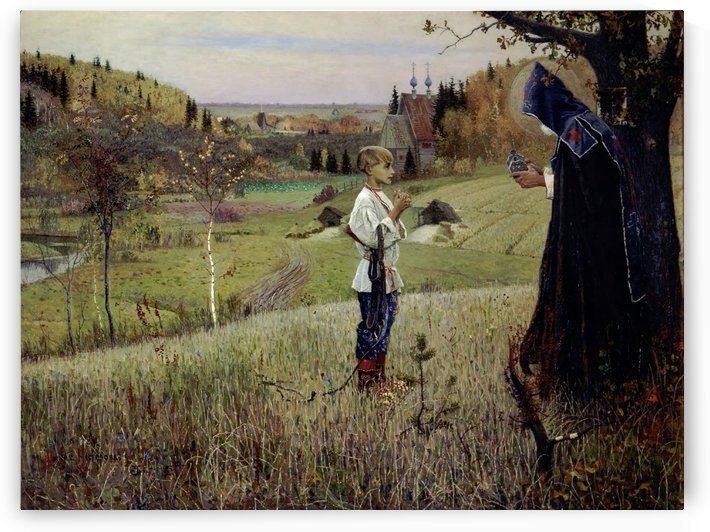 He was born to a strongly patriarchal merchant family. 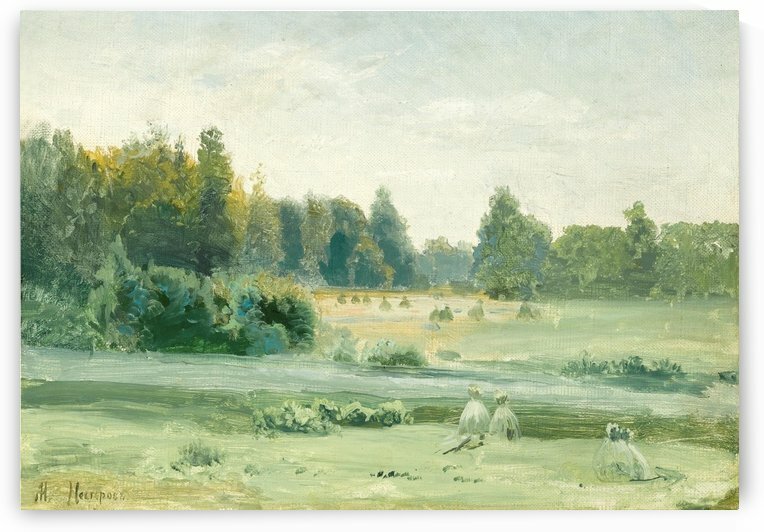 His father was a draper and haberdasher, but always had a strong interest in history and literature. 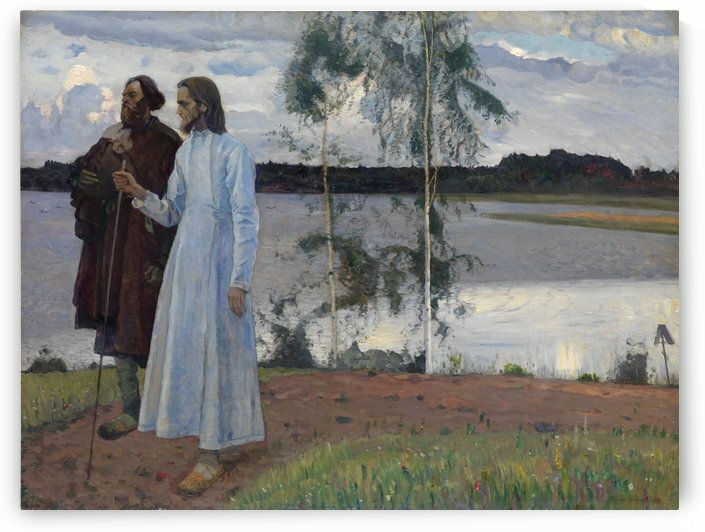 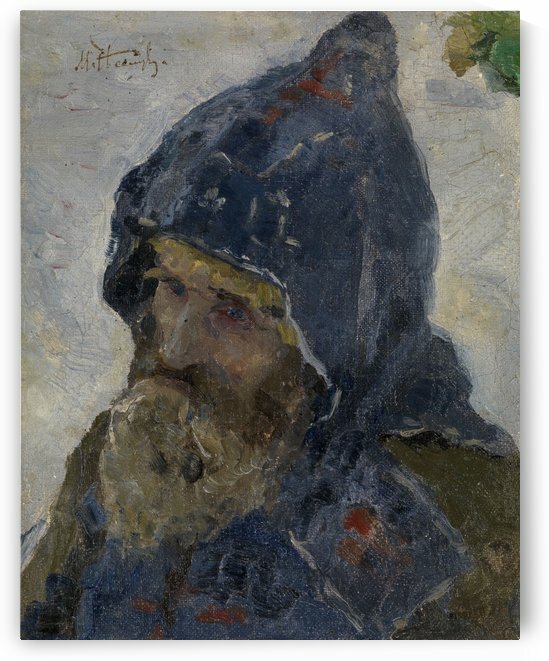 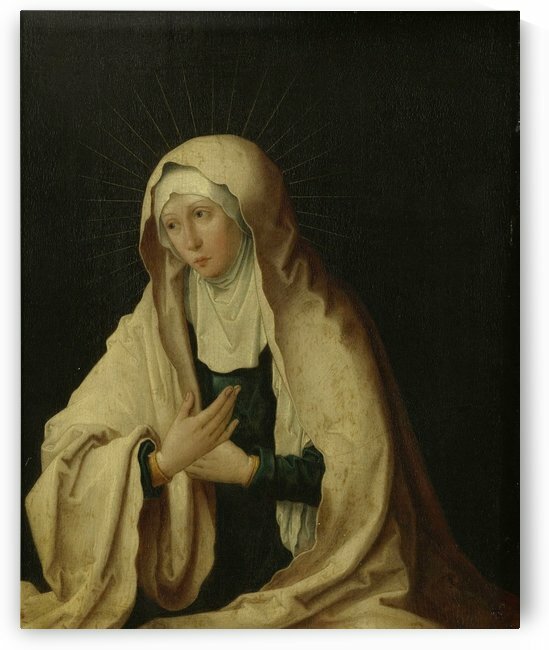 As a result, he was sympathetic to his sons desire to be an artist, but insisted that he acquire practical skills first and, in 1874, he was sent to Moscow where he enrolled at the Voskresensky Realschule. 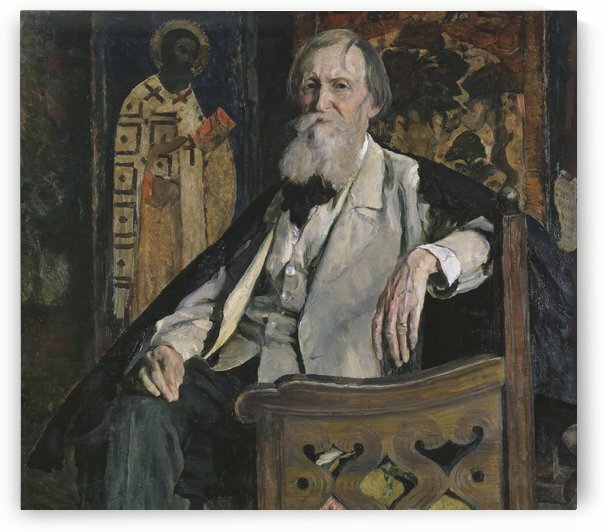 In 1877, his counselors suggested that he transfer to the Moscow School of Painting, Sculpture and Architecture, where he studied with Pavel Sorokin, Illarion Pryanishnikov and Vasily Perov, who was his favorite teacher. 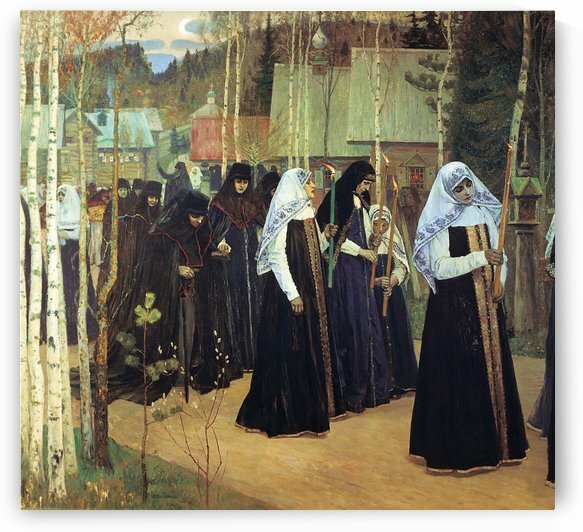 In 1879, he began to participate in the schools exhibitions. 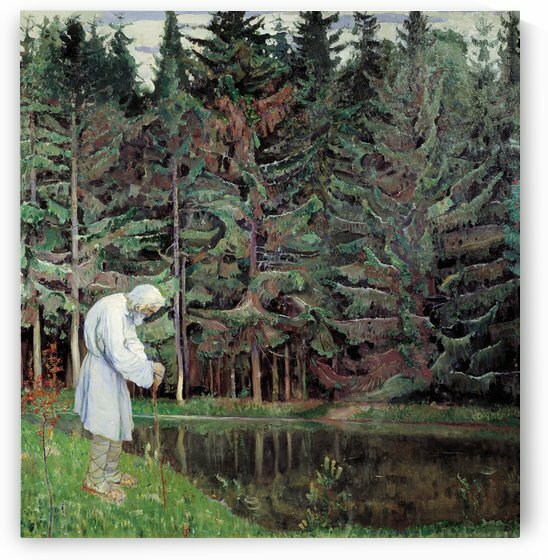 Two years later, he entered the Imperial Academy of Fine Arts, where he worked with Pavel Chistyakov. 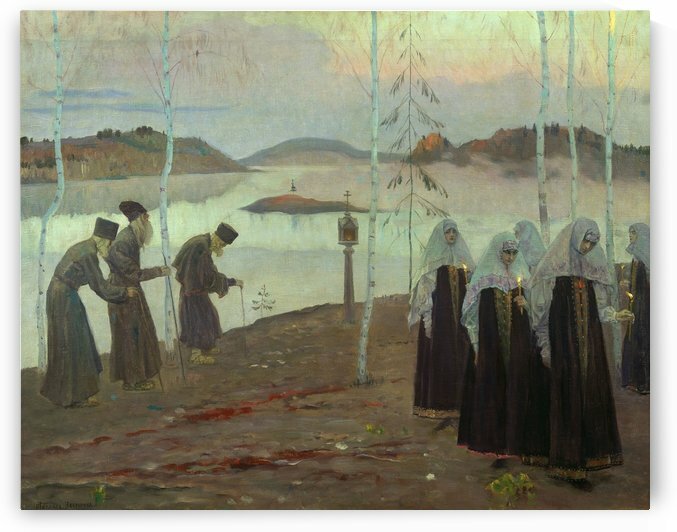 He was disappointed at the teaching there and returned to Moscow, only to find Perov on his deathbed, so he took lessons from Alexei Savrasov.